If you happen to be in Tokyo during one of the three grand tournaments in January, May or September you can catch some of the action at Ryogoku Kokugikan, Tokyo's National Sumo Hall. However to really understand the life of man-mountain you have to watch an early-morning training session at a beya, or sumo stable. Many don’t allow foreigners and those who do still have strict rules; you have to sit quietly and watch. 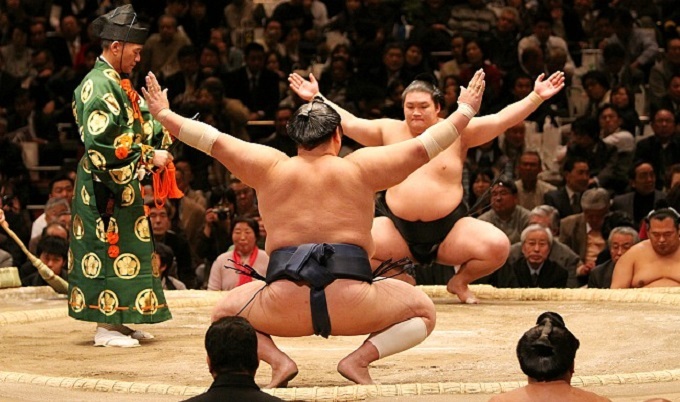 To actually enter the Sumo ring in which they practise is almost impossible…unless you know the right people. It may seem like a foolhardy ambition but if you really want to experience challenging a wrestler at his own game, Luxurique say they can organise it.